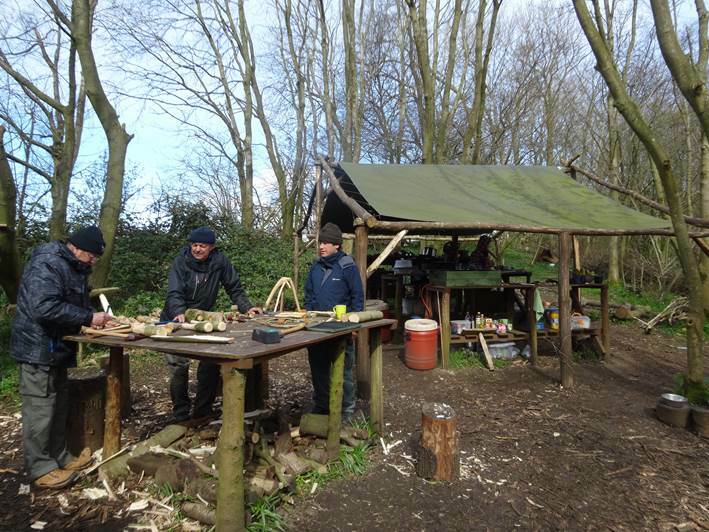 We had a brilliant 5 days in the woods on the Blacksmithing, Bodging & Bushcraft course last week. 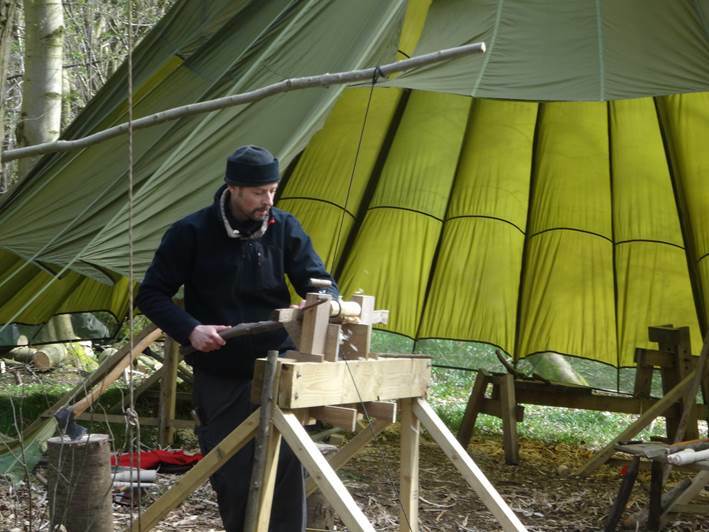 We run this course with Ross, of Kaos Blacksmiths. We only have 6 people on this course so that everyone gets the attention and tuition that they need (and have paid for!). This is a small selection of the photos we took on this unique 5 day experience. 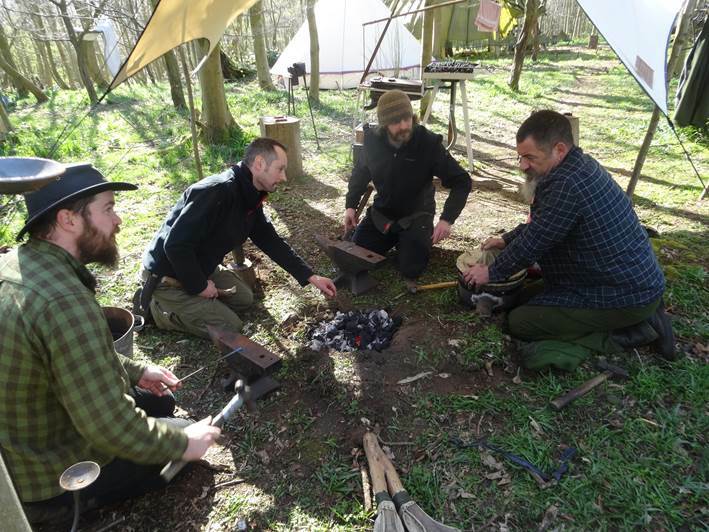 This first photo shows some of the guys around an iron age pit forge, with Ross working the bellows. This is Steve on the pole lathe; at the end of the course, he told us he would be building a pole lathe at home. This one is of Harry, Richard and Stef carving spoons. 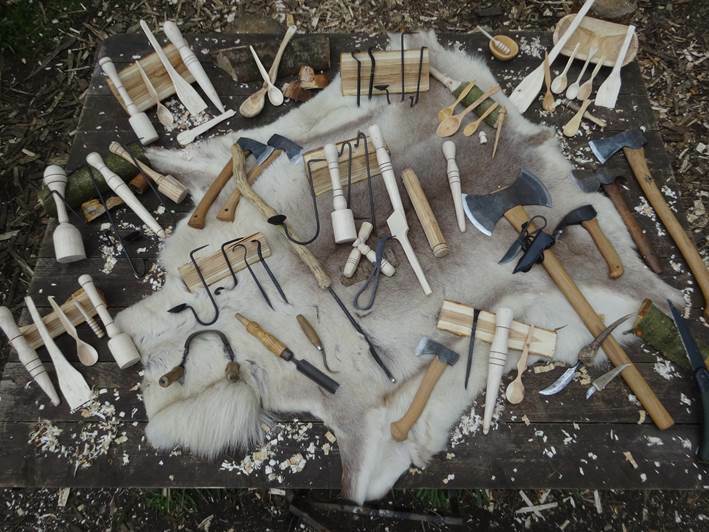 This photo shows some of the things made during the 5 days: Spoons, spatulas, ladle, honey drizzlers, potato mashers, hair pin, dibblers, rolling pins, bowls, 1 legged stools, handles for draw knives, draw knives, Viking knives, fire strikers, spoon gouges, candlestick holders…. We took loads of photos on this course, all of which are on our Facebook page. 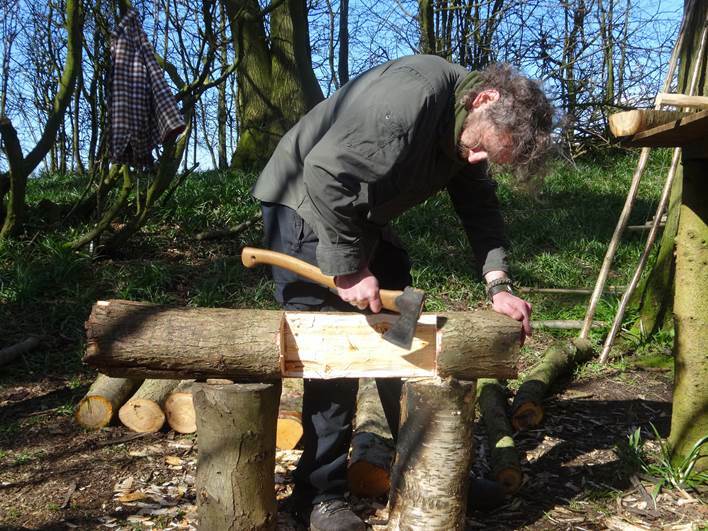 We’ve also got posts about building our pole lathes and shave horses, which are on our blog.